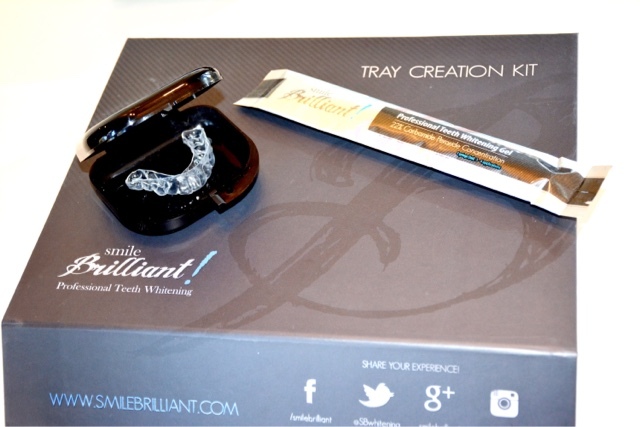 I must share with you this unbelievable teeth whitening kit by Smile Brilliant. This product is a must have. I have tried other teeth whitening systems in the past, but none have been this easy and just as professional as going to the dentist's office. It is now available for home use and more affordable. I'm so excited to share my experience with you. When I received my kit, I could not wait to get started. The first step was making my custom fitting trays. 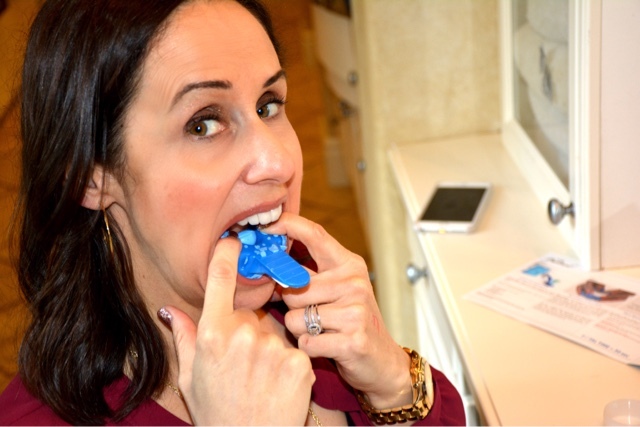 I think my favorite thing about Smile Brilliant is that you have these custom trays that fit only your teeth-- not generic trays that barely fit and are uncomfortable to use. I combined the base paste and catalyst paste to make this impression (just like at the dentist's office). I then put the mixture into the tray molds and put directly on my teeth, which made the impressions. I waited the appropriate time and then removed the impressions. I then let the impressions sit for 30 minutes and rinsed under cold water when it hardened. Then all I had to do was mail it back to Smile Brilliant in a pre paid envelope with a return card filled out. I then just had to wait for my impressions for about a week. This was so easy, I couldn't believe it!!! 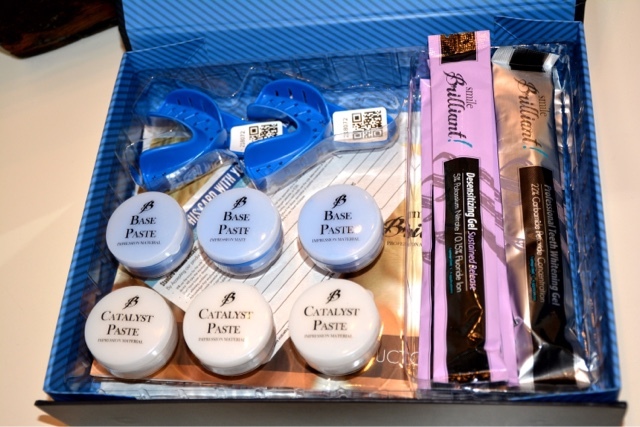 I then received my custom trays and was ready for my first treatment application. 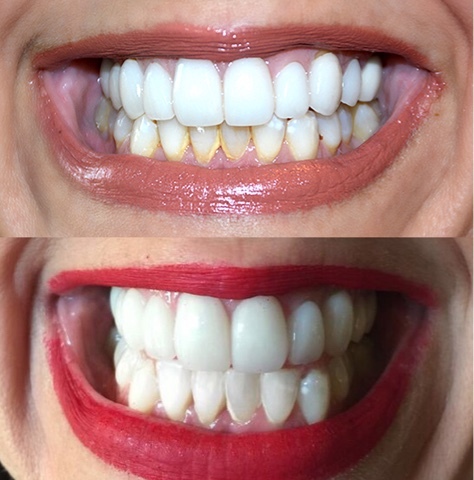 I first removed the cap of the teeth whitening gel and applied a steady ribbon of gel on the inner surface of the trays (the part that comes in contact with the front of the teeth). I made sure not to overload with the trays with gel. A little goes a long way!!! I then inserted the trays on my teeth with a forward pressing motion to avoid dragging down the gel. The gel spread evenly over the front surfaces of my teeth. I let the gel sit on about 30 minutes for my first application, but went up to about an hour throughout the week. When my time was up, I removed the trays and rinsed thoroughly. I then rinsed the trays with cold water and dried it well. I repeated this for about a week and a half. 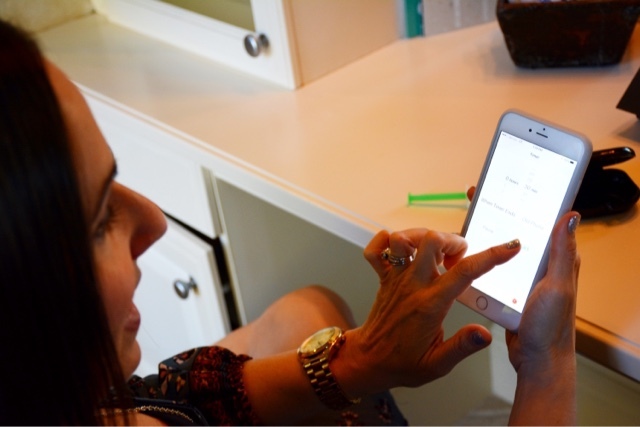 I did experience some sensitivity during this treatment, which can be very common. I used the desensitizing gel by Smile Brilliant. It replenishes essential vitamins and minerals lost during the whitening treatment. It significantly reduced this tooth sensitivity. Thanks to Cathy Cordas for photos and Happy Reading!!! 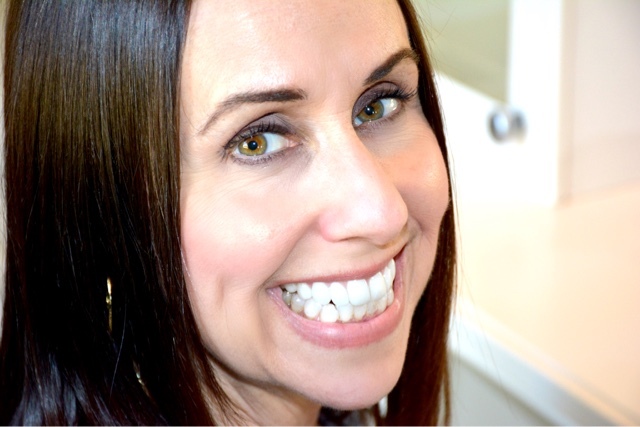 Pretty nice post about Teeth care. 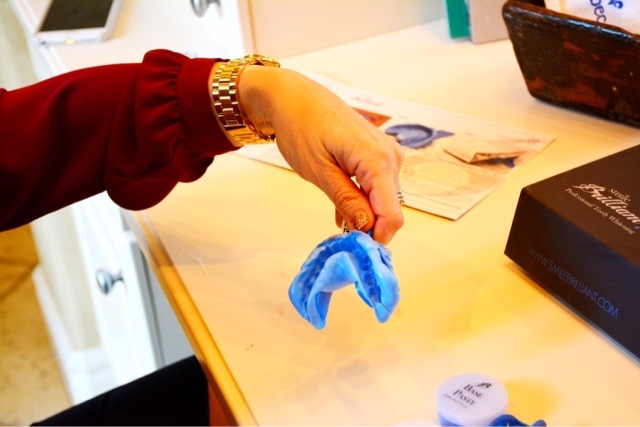 Everyone wants white and gum free teeth and is the best of good health and hygiene.There are many products including 3D Crest Whitestrips online that offer the best tools for teeth whitening. Thanks for the lovely post about health.